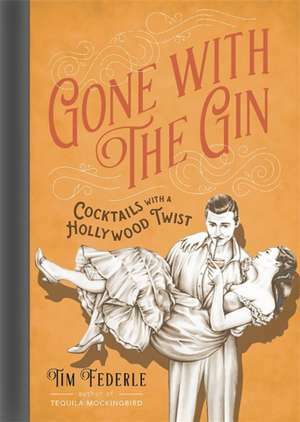 From best-selling author Tim Federle of Tequila Mockingbird fame comes Gone with the Gin, the ultimate cocktail book for film buffs. Tim Federle is the author of Hickory Daiquiri Dock: Cocktails with a Nursery Rhyme Twist and Tequila Mockingbird: Cocktails with a Literary Twist, which was named the 2013 Goodreads Cookbook of the Year. Tim lives and drinks in New York City. "The cocktail recipe book for film buffs"